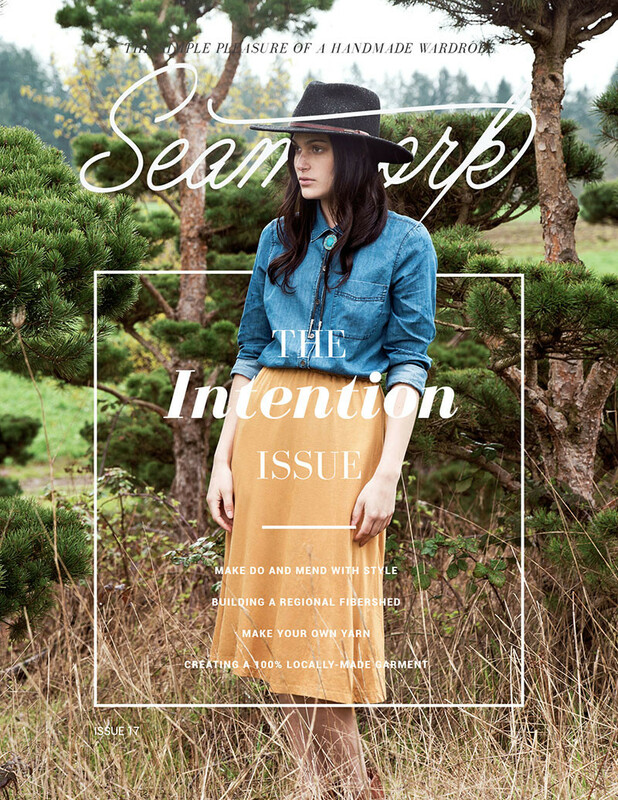 The April issue of Seamwork is up and ready for you to read! 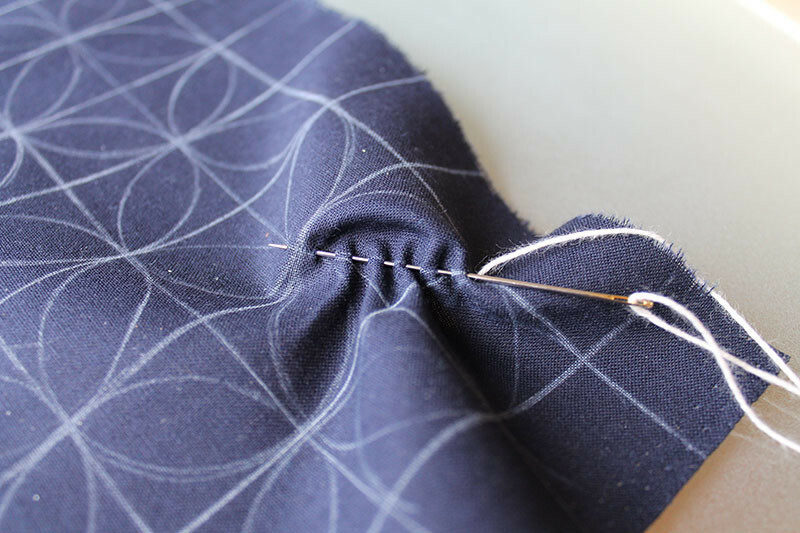 Sewing with Intention: How does sewing help you live your values? 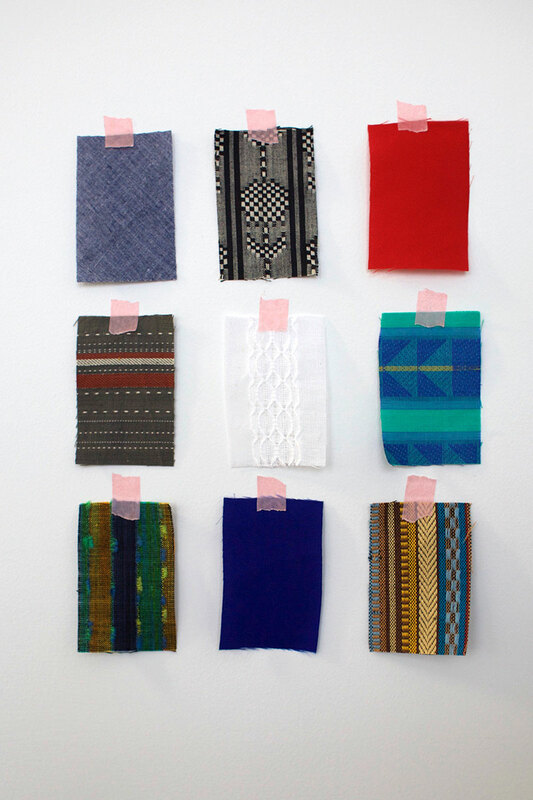 Independent Pattern Makers: How they got their start, by Mariah McPherson. Sashiko: Make do and mend with style, by Kat Siddle. For a Cause: An exploration of companies that care, by Betsy Blodgett. Finding Local: Creating a 100% locally-made garment, by Nicki Taylor. Out for a Spin: How to make your own yarn, by Charlotte Powell. Building a Regional Fibershed: A non-profit incubates 100% local fiber production, by Jessica Yen. Block Paper Scissors: Create a color blocked Seneca Skirt, by Devon Iott. Seamwork Digs: The products and media that we can’t stop chattering about around Seamwork HQ. Behind the Seams: Take a look inside a 1970s pinafore. Art, Sewing, and Practice: Cultivating confidence through the practice of sewing, by Eowyn McComb. Sewing Specifics: Make quick and easy tassels to upgrade your sewing. Swatch Service: This month, we looked for light and medium weight wovens for Hayden and flowing knits for Seneca. You’re on the perfect summer road trip — sun shining through rolled down windows, sipping a chocolate shake, singing along to your favorite songs on a freshly pressed playlist. You’re going to be in the car for quite awhile, and those long miles between road side attractions call for comfy threads that not only travel well, but look great in all those memorable photos you’ll be taking. That’s why Hayden’s easy fit and stylish silhouette make it the perfect companion for all of your on-the-go activities. Best of all, Hayden gives you options. 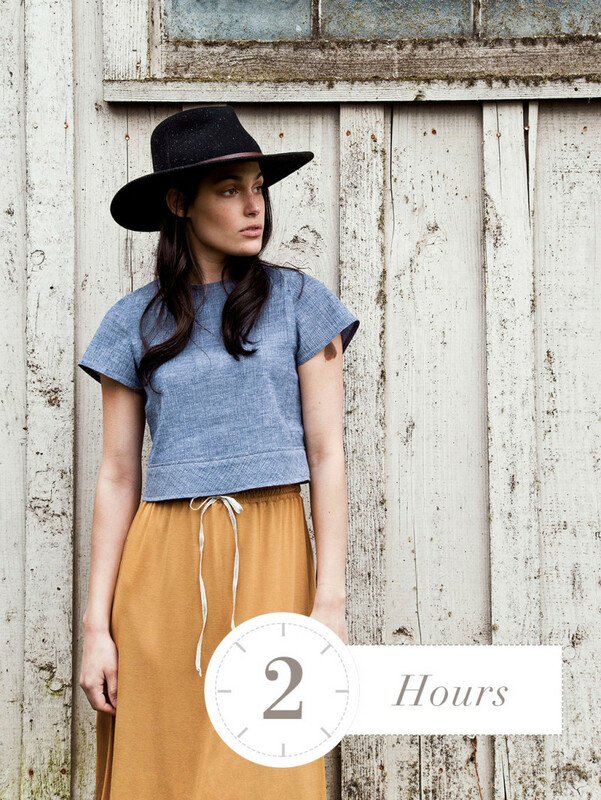 Version 1 is a classic woven tee, and version 2 is a crop top for the slightly more daring. Both versions feature short sleeves, a keyhole at the back neckline, and style lines that start at the shoulder and follow the natural contour of the body to the hem band. Play around with color blocking, or add trims between the panels to give Hayden a unique touch. An easy knit skirt is the key to any beach vacation. Seneca can be thrown over your swimsuit as you make your way to the water, or paired with our Hayden crop top (Seamwork Issue No. 17) for dinner on the lanai. However you wear it, this versatile little skirt will keep you looking put together and make packing for your next poolside holiday a pinch. Seneca features an elastic waistband with a drawstring, for added style and comfort. The godet panel at the side seam provides a little peek of surprise to passersby, and can be made of self fabric for a subtle effect, or played up with an optional contrasting fabric. Seneca also sports in-seam pockets so you can easily stash cash or a hotel key card on the run. I like both of these patterns and I love how they’re styled. I spent the weekend re-listening to Dylan’s “Desire” so this look was totally in my head. Hayden is cute and the seaming makes it a really nice change from all of the basic woven tee patterns out there. I initially thought Senaca was going to be a super basic drawstring skirt, but the side godets are a nice touch. They would be super cool color blocked or in a sheer that matched an opaque main fabric. And both samples are well sewn. The closures on both examples of Hayden are lovely. And yes to the Sashiko article! It’s incredibly relaxing. So awesome. I want to make both patterns immediately! How would you do a full bust adjustment on hayden? I haven’t encountered that construction before. Would you like to increase the cup size or decrease? Hi Amelia – you can remove the seam allowance at the style line, then tape the two pieces together so they touch at the bustline with grainlines parallel to one another. Then you can execute the FBA as if it were one piece, slashing and spreading the excess out of the side panel. Hope this helps! Thank you. Can I then maintain the style lines? I assume that the fba will involve addition of a bust dart and that would probably intersect the style line. Yes, you can then keep the style lines. It will create a dart – you can tape down the wide end of the dart and just saw the other half of the dart from the style lines if you want, so that it dos not intersect, but originates at the style line. I love the Hayden– what sort of fabric is that that the white one is made from? Thanks! Loving this issue and both patterns! One question though, would you guys consider adding the ‘layers’ function to your digital patterns? It would be a lot easier print and cut only the needed size. I am making the Hayden top. The pattern has the bottom band cut on the bias . I noticed that on the white top the band is cut on the grain (pattern runs the same way). So, does the bottom band have to be cut on the bias? We had to do a bit more drafting to get the band to hang nicely when it was not cut on the bias. It’s recommended to cut on the bias! I love the Seamworkers’ Guides To… part of the magazine. Any chance of a guide to Rome some time before, say…, September? Beautiful! What fabric was used on the blue Hayden top? 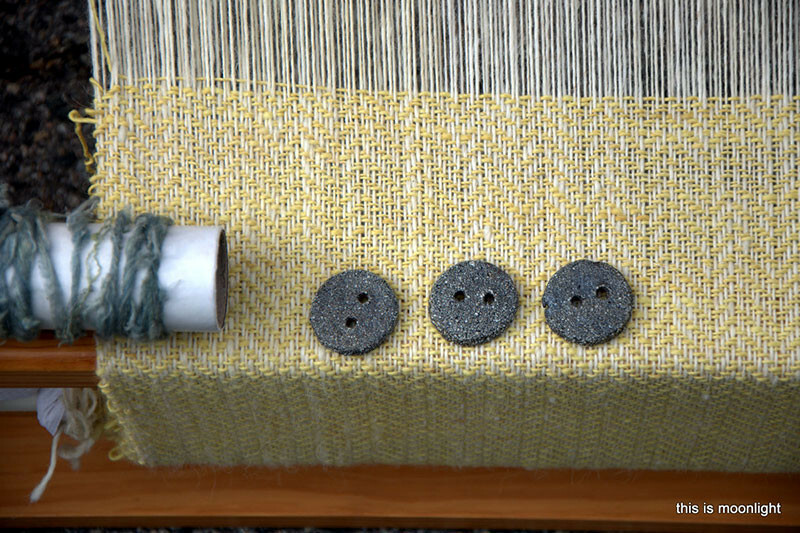 It’s a yarn-dyed Essex linen. You can find it at Michael Levine here. Also, we are now including all of the swatches used for the samples in Swatch Service each month! I thought I already left a comment on how much I love this month’s patterns, but it seems I didn’t – anyway, they’re adorable, and this is the nicest crop top I’ve seen in ages. I actually popped by to say the bonus for Hayden is great – thank you!